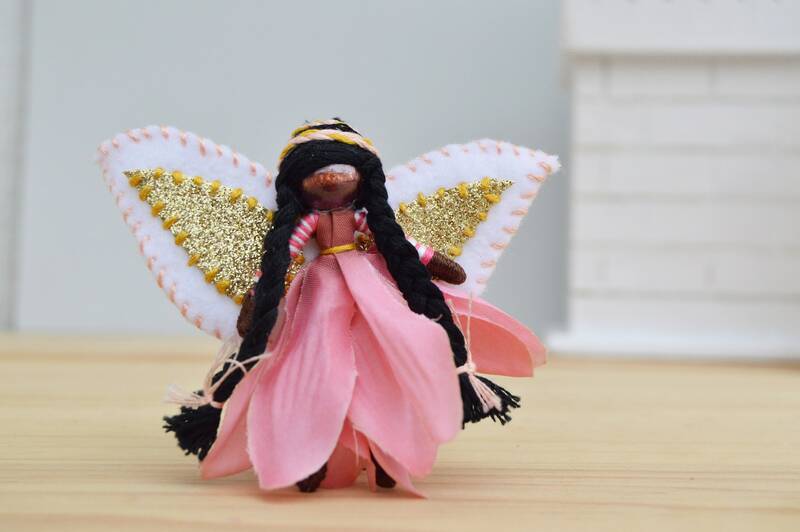 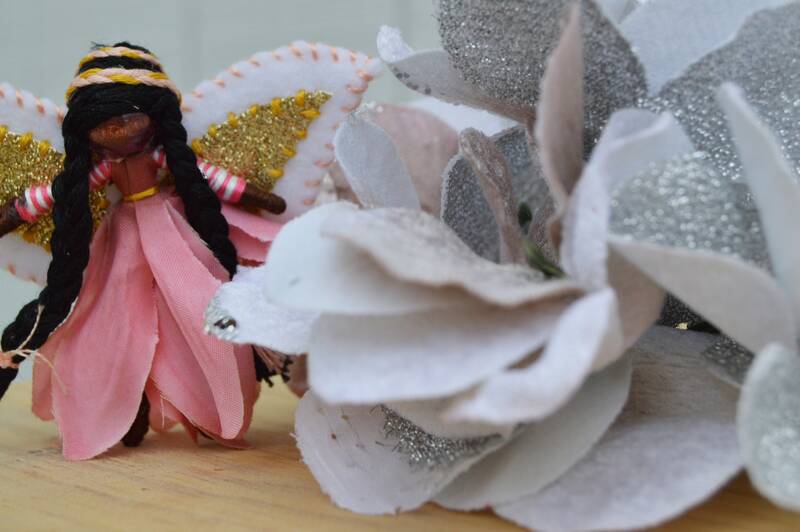 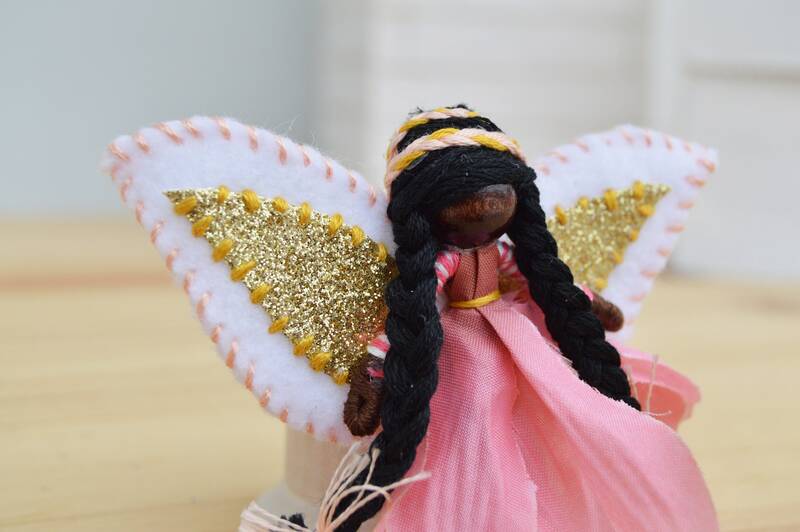 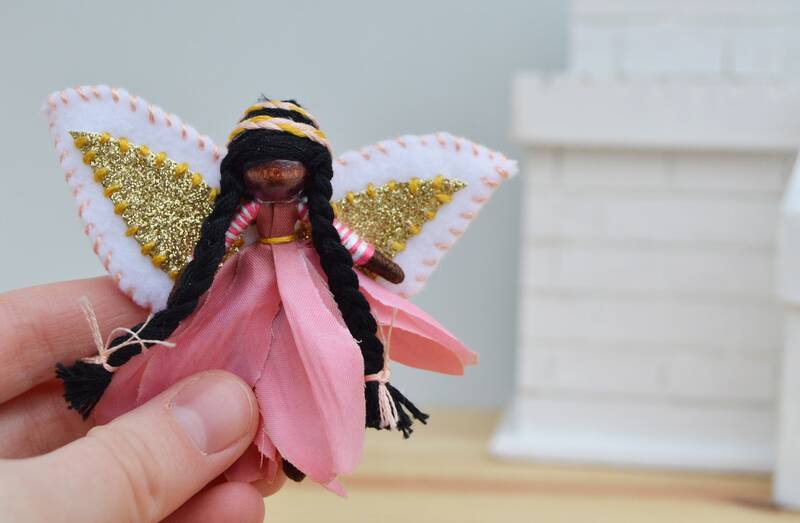 Meet Vita, a one-of-a-kind miniature flower fairy doll ready for a fairytale adventure! 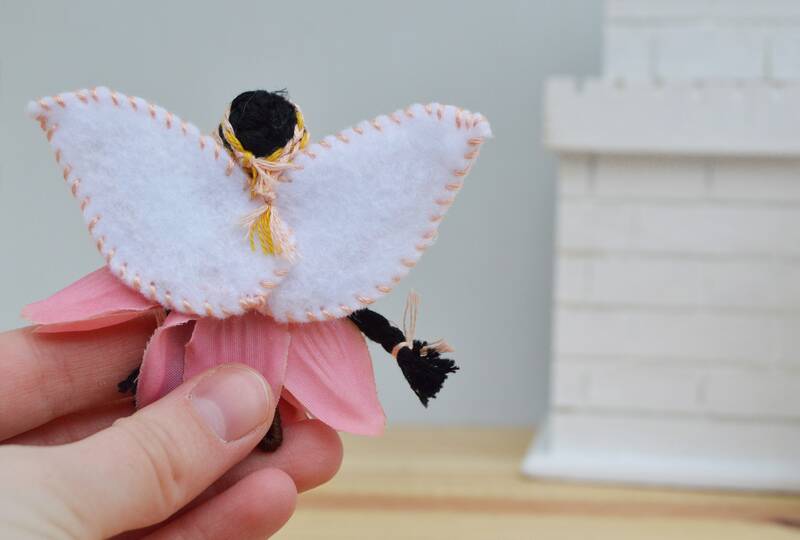 At 2 inches high, she is the perfect fairy doll size. 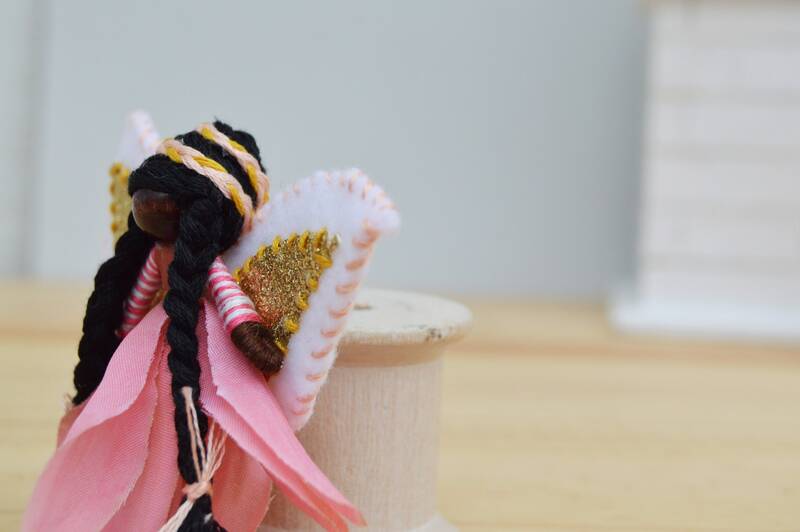 Vita wears a pink faux flower dress with striped cotton floss sleeves. 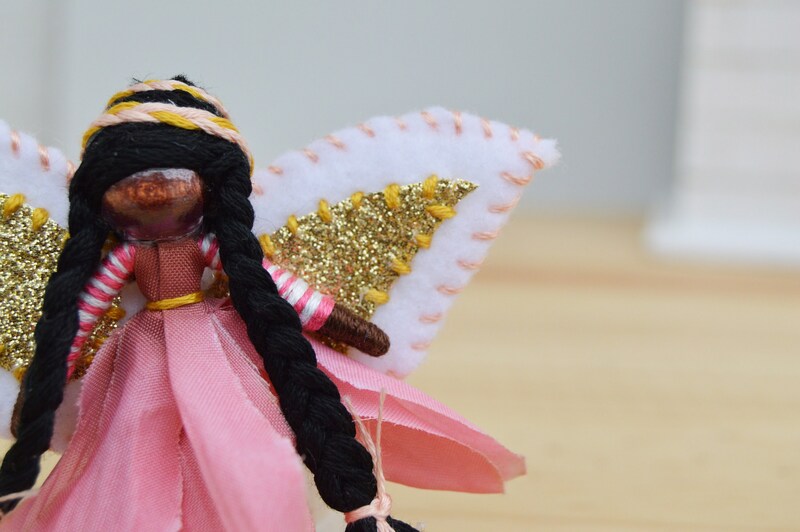 Her black cotton floss hair is styled in pigtails with a pink and gold headband. 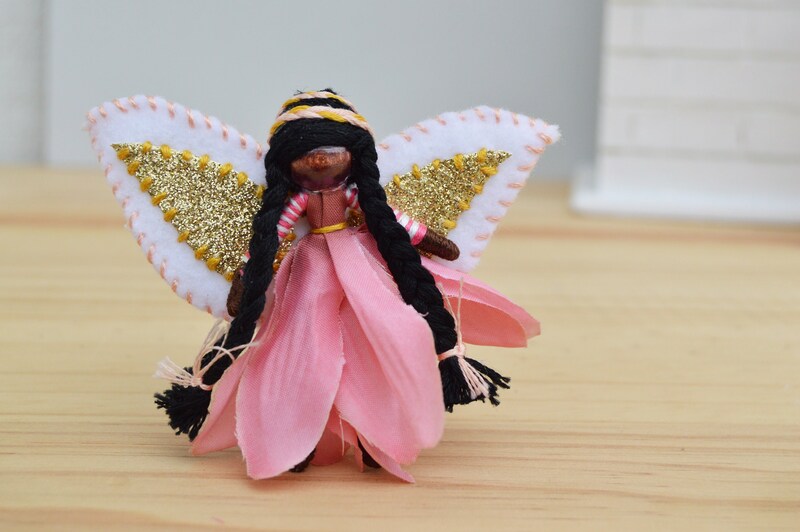 Her fairy wings are white, pink, and gold polyester felt.